Gov. 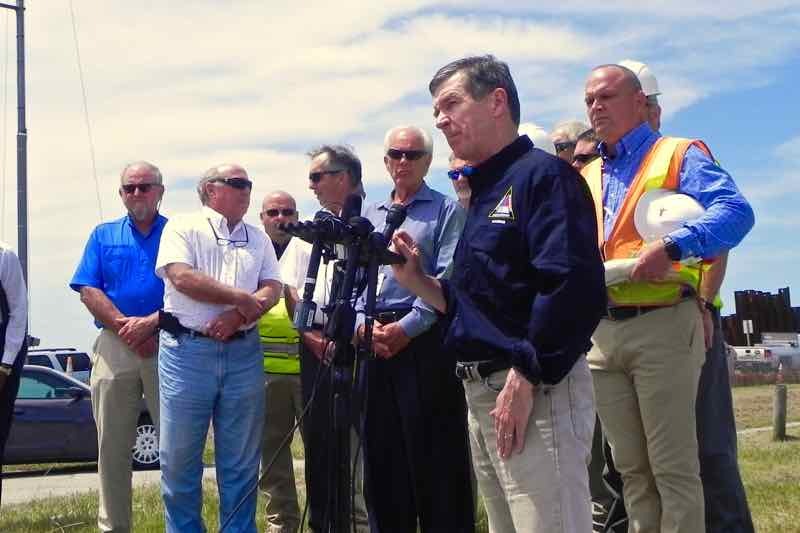 Roy Cooper touted tourism Monday while visiting the site. One of the big questions surrounding the weeklong power outage on Hatteras and Ocracoke islands is whether anything can be salvaged from the lost vacations. Some people were fortunate enough to find other accommodations. But whether you can recover the money you had already invested in unused rental houses depends on a number of factors. No two rental management companies or insurance policies are exactly alike. Rental insurance is mainly designed to cover illness, death of a traveler or family member, job loss or weather-related travel delays. Most policies cover broad categories, including mandatory evacuations for hurricanes, but they do not touch on every possible contingency, such as a power outage. Laird Sager of locally based Red Sky Travel Insurance said he is not aware of any policy issuer who will cover losses based on a mandatory evacuation that was triggered by a manmade event. A construction accident caused the power outage. Sager mentioned the BP Horizon incident in the Gulf in 2010 and noted that to his knowledge, no travel insurance companies paid for the many vacations that were canceled as a result of the oil spill along the Gulf beaches. Red Sky does have a provision in their policy that allows a claim to be made in the case of a road closure. “Red Sky is looking at each individual claim, and we are paying claims if the road closure provision is applicable,” he said. In a statement Thursday, CSA Travel Protection, which issues policies through several local rental agencies, encouraged policy holders to file a claim on its website, csaclaims.com, or by calling its hotline 800-816-9454. The company called the outage a “man-made event of unprecedented scope and duration” and said “we are covering this event due to the mandatory evacuation.” A company spokesman said the company does not cover mandatory evacuations for any reason but will in this case. Midgett Realty on Hatteras Island has posted an information sheet on its website. It says that coverage is based on a renter’s state of residency and offers details on what to do next. The Voice reviewed policies offered under the Travel Guard brand by two Hatteras-based rental companies, and the coverage offered will pay only if a named hurricane occurs that was “not foreseeable” at the time the rental was booked. There were also provisions for inclement weather affecting travel, such as flight cancellations, or a rental home rendered uninhabitable due to natural weather occurrences, vandalism or fire. There were no specific provisions for any other reason, including road closures or mandatory evacuations. Owners were given deposits back in the spring, so that money is out of the rental company’s hands and refunds are up to individual owners. Rental companies typically require half payment at booking and the balance two weeks before arrival. A renter doesn’t have a choice when it comes to buying vacation insurance. Each rental company uses one insurance company so the renter has to take that insurance or go without. The rental company either offers choices for the renter to select from or there should be a standard determined by the Insurance Commission for all policies. 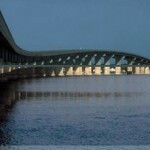 Every rental company on the Outer Banks does not use the same travel insurance company. There is CSA, Travel Guard, Rental Guardian and Red Sky and possibly others. Each company chooses who they do business with. The insurance commission does approve and regulate the policies. I don’t think that is accurate. I have made many trips to various places, including Europe, Hawaii, etc and I have purchased trip insurance from various sources and many trips have included renting private houses. I don’t believe you have to take what a rental agent offers. I never have. If you are not allowed on the island then it is simple in my mind. You SHOULD get your money back. The bottom line is Hatteras Island is a risky destination. Take your hard earned money elsewhere. We refunded 2 full weeks and 1 day to our guest. Our renters had insurance but were told it was not covered because it was a man made event and not an act of nature. We rent by owner so the decision was easy. We believe that it is the right thing to do in this situation. The NC renter’s rights states that if you declined coverage that would have clearly covered you for this evacuation, you’re out. Otherwise, you are entitled to the reimbursement. To my knowledge, there is no insurance policy that clearly states man-made evacuation is covered. I’m not sure why these real estate companies are not reimbursing (us) renters and filing a claim with the construction company themselves?? Instead, they send me a copy of my lease and receipt and tell me how to do it! Other than already having the consumers money, What makes them any different then the other retailers and business owners on the islands were affected. They should be filing a claim themselves and taking care of their customers. We are talking BIG money in some cases! My rental property was $9,800. I paid for a product I did not receive. And there was NOTHING I could have done as a consumer to change that. Ps… This situation has has nothing to do with reading policies. And as far as OBX being a “risky” place to travel, you can say the same for the businesses. It’s a risky place to do business too! Why should the renters always be the one out the money? ?